Every once in a while, you meet someone that you know is going to make a difference in the world. You can tell by their enthusiasm and by the projects they undertake. Dr. Pam Liao is one of those people. Pam completed medical school at UBC and is now in Toronto doing her residency in Obstetrics and Gynecology. I met Pam during the preparation of a poster for the International Congress of Medical Women’s International Association in Munster, Germany in August 2010. 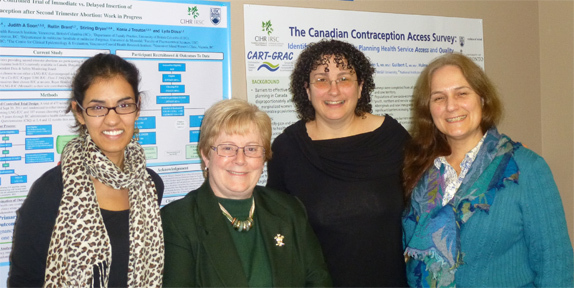 The title of that poster was HPV and Cervical Cancer: The Role of the Federation of Medical Women of Canada in Prevention and Early Detection. The poster summarized the Federation’s work when I was President to have the HPV vaccine funded as well as their “Smear Campaign” instituted in subsequent years to provide Pap tests to women who had not had one because of no access to a clinic or physician to complete the test. Pam has been an inspiration to me and so I asked her to be a guest blogger, to tell us about yet another project she has: a “small” undertaking to provide global access to high quality Obstetrics and Gynecology Education. Notice also that she’s recruiting for her project. My plan is to tell you about a joint project between Medical Women’s International Association and Next Generation University. I began this project as a Medical Student in British Columbia but continue to work on it now that I have moved to Toronto for a residency in Obstetrics and Gynecology. Globally, there has been an identified need to produce more health care providers for the growing population. In attempts to meet this need, Dr. Erica Frank developed Next Generation University. This is a freely-accessible online university that uses only peer-reviewed content. Through a combination of web-based resources, coupled with activities requiring local, mentored supervision, trainees in vast areas of medicine are able to receive certifications in their fields of interest. A natural partnership formed in 2009 when the need to produce high-quality training in Obstetrics and Gynecology was identified. The Medical Women’s International Association is one of the oldest professional groups in the world and it is the oldest medical professional organization. With members around the world in over 60 countries and strong branches in the areas of greatest need for this project, MWIA can provide the practical expertise as well as the cultural and regional knowledge that trainees will require. We are currently recruiting course authors. We provide detailed, easy-to follow instructions with many templates to base the courses on. Course authors will be responsible for identifying appropriate learning materials to meet pre-determined learning objectives. Thankyou Gail for sharing news of Pamela’s project. Wonderful initiative for women’s health world wide. ← Is this Health Literacy?